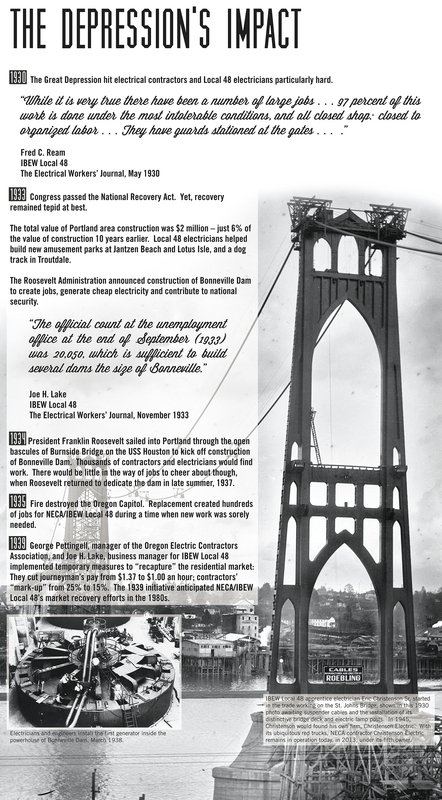 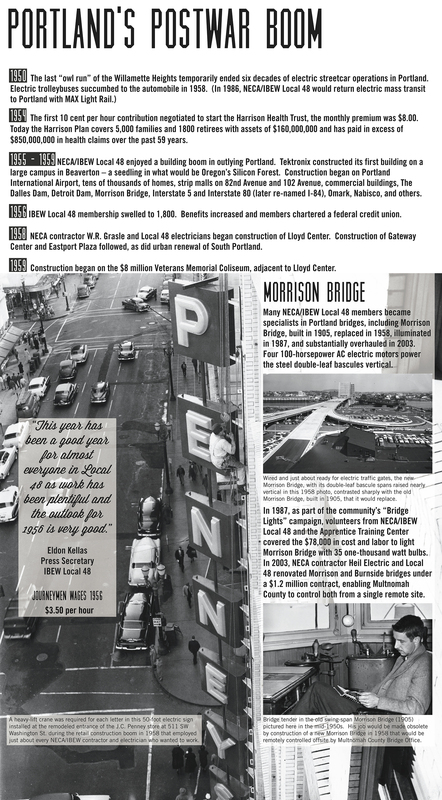 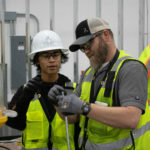 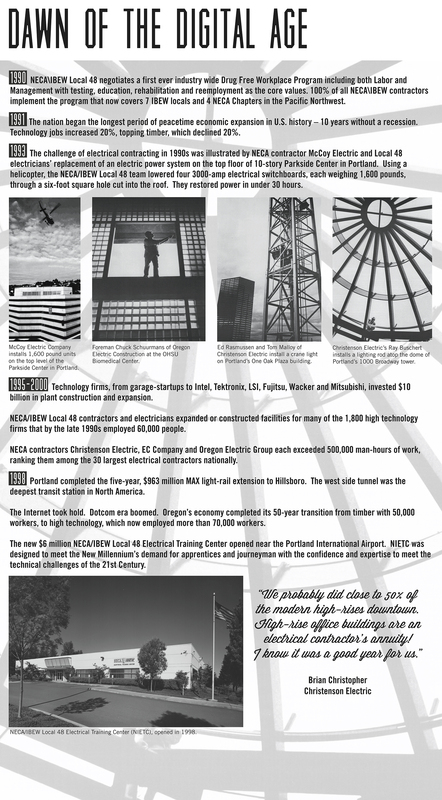 Since 1913, more than 50,000 union electricians working for hundreds of contractors electrified the homes and businesses, shipyards and bridges, and lumber mills and computer chip manufacturers in the greater Portland area of Oregon and southwest Washington. 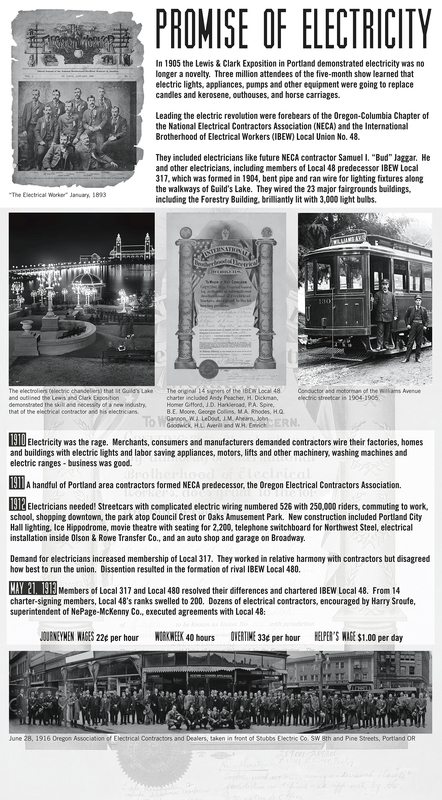 Those electricians were members of IBEW Local 48. 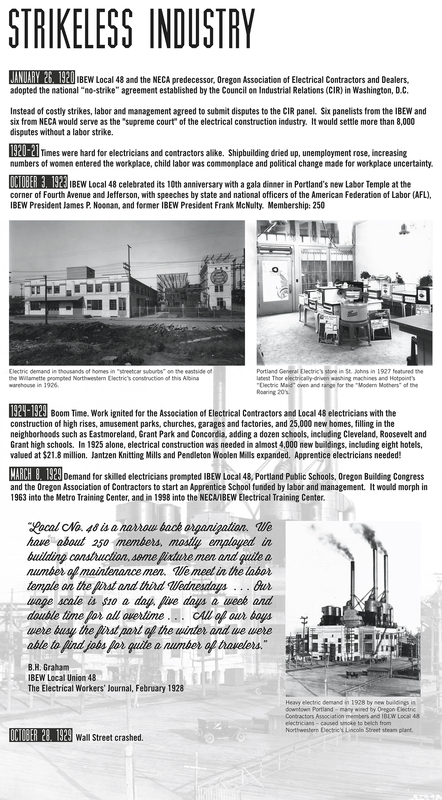 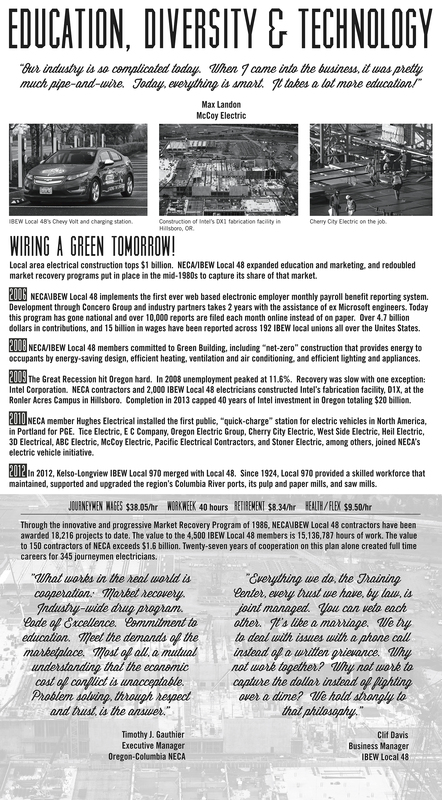 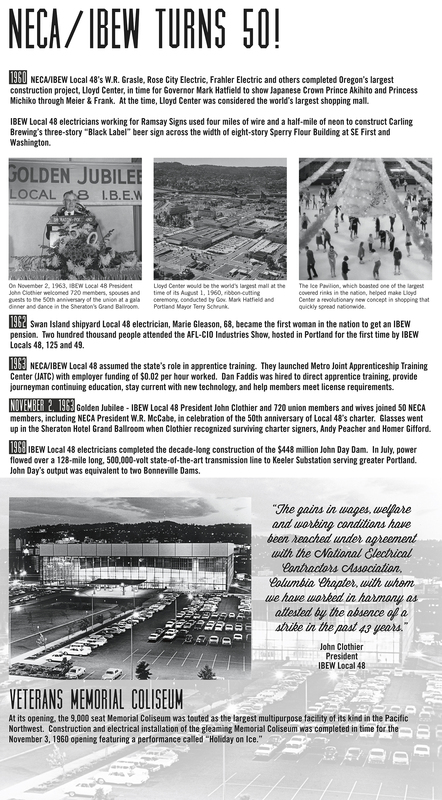 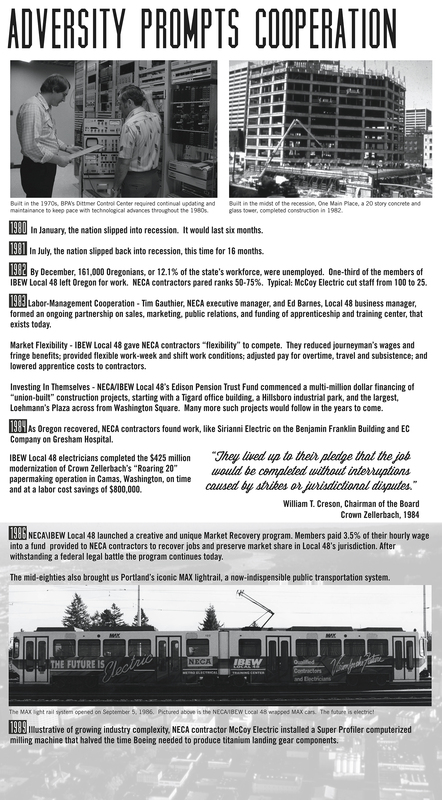 Their employers were likewise organized for social, political and economic reasons under different names the past 100 years but most recently, since 1943, as the Oregon-Columbia Chapter of NECA. 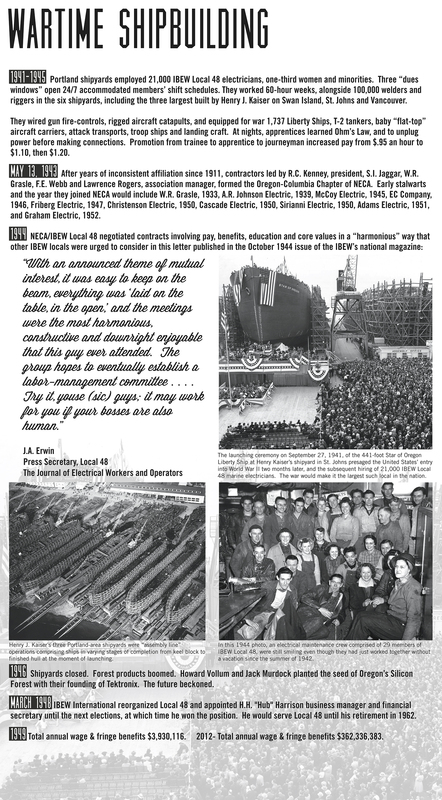 The working relationship of NECA/IBEW Local 48 through 10 decades and 18 economic recessions the past century was one of relative harmony. 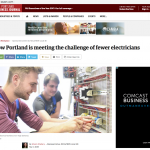 They wired the Portland region largely without rancor or strife. 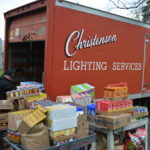 They played a crucial role in electrifying Eden. 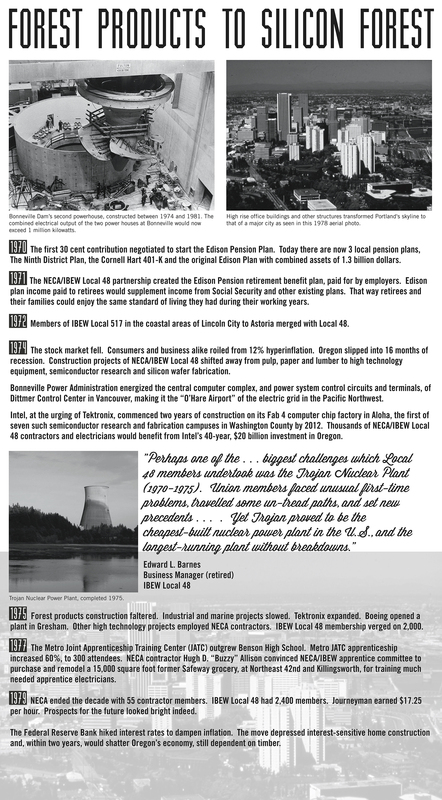 Yet, this relatively strikeless industry has gone largely unrecognized in books, articles and programs about the development of Oregon and southwest Washington.